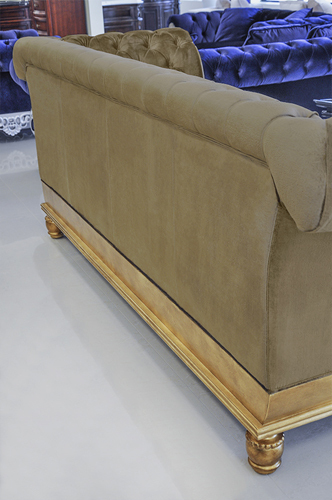 The Sperrazza luxury velvet sofa is a perfect example of how traditional style and modern design can coincide. 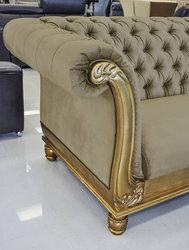 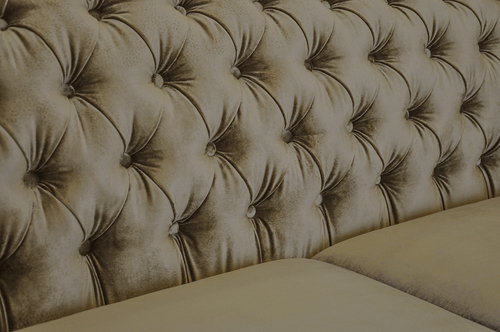 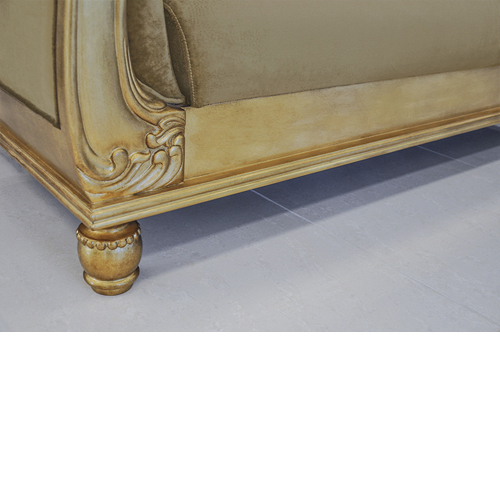 Each piece features plush, tufted rolled arms that is upholstered in a soft velvet fabric. 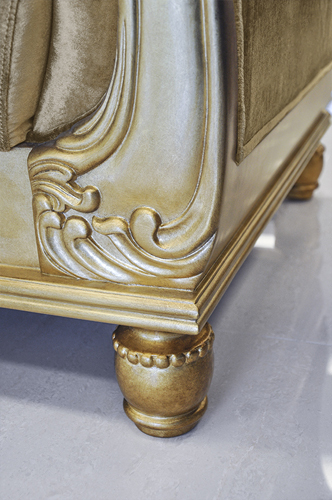 The solid Birch wood frame is durable and stylish in a gold leaf finish. 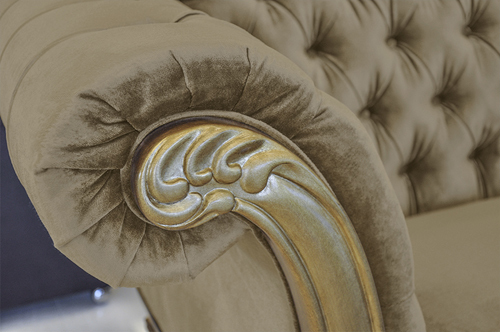 The Queen Anne shaped thick legs and intricate hand carved detailing will set the bar high with this 3 setter high end velvet sofa. 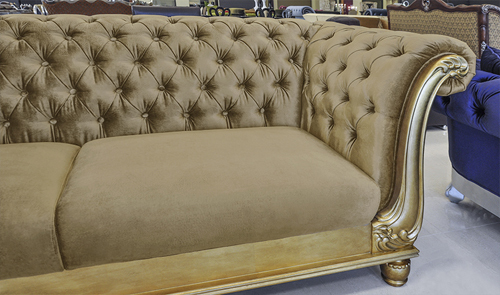 Effortlessly achieve an enduring Neo Classical look and feel for your space with The Sperrazza modern sofa. 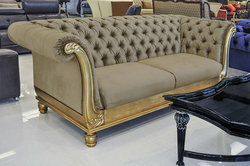 L94.5" x W35.4" x H38.5"